ZZ Top, Tenacious D, Disturbed, Axel Rudi Pell, Blackberry Smoke, Candlemass, Powerwolf, Gorgoroth, Green Jellÿ, The Night Flight Orchestra, Jag Panzer, Blaze Bayley, FM, Krisiun, Myrath, Thundermother, Zal Cleminson's Sin Dogs, Jared James Nichols, The Quill and Gathering Of Kings are now confirmed for Sweden Rock Festival 2019! Another 45 acts remain to be announced. 2019 will mark 50 years since the formation of ZZ Top and 10 years since they last played at the Sweden Rock Festival. Now the world's greatest blues rock trio is heading back to Sölvesborg to let classics like "Gimme all your lovin'", "Sharp dressed man", "Tush", "La grange" and many more sound over the Sweden Rock fields once again. Actor Jack Black and guitarist Kyle Gass started Tenacious D as a bar show act, but their humoristic style and witty lyrics soon made them huge. Black's film career only allows the band to tour sporadically, but in Sweden they have lately managed to create chaos at an over populated free amusement park show and sell out an acoustic show at Arenan in Stockholm in virtually no time at all. Needless to say, when they make their Sweden Rock debut, it will be as a full, electric band. Disturbed has remained in major league of modern metal throughout the 2000's, much thanks to songs like "Stricken", "Down with the sickness" and "Indestructible". Their fanbase is likely to have expanded even further with their hit cover of the Simon & Garfunkel classic "The sound of silence" a couple of years ago. 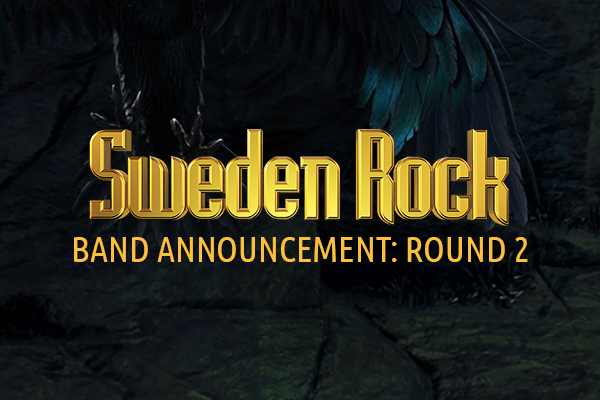 We have wanted the band back to Sweden Rock since their hugely successful 2008 show and in June it is finally time! 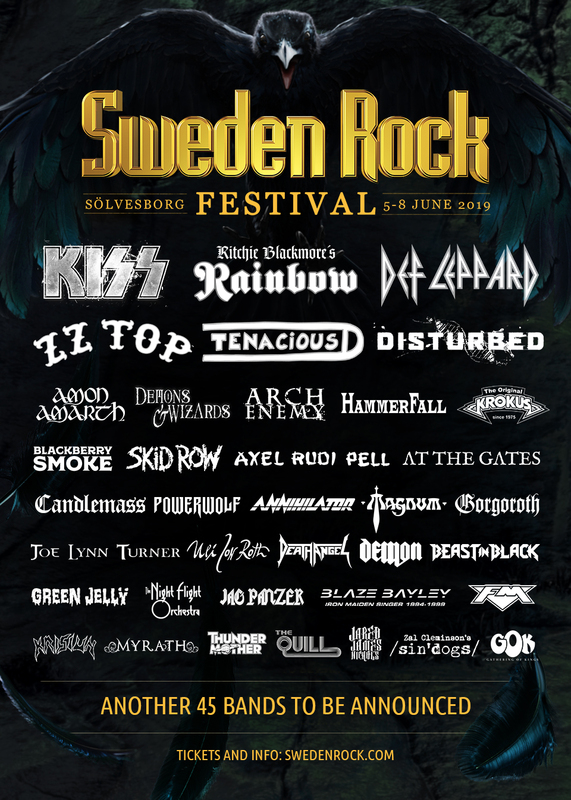 Also added to the 2019 line-up are Axel Rudi Pell, Blackberry Smoke, Candlemass, Powerwolf, Gorgoroth, Green Jellÿ, The Night Flight Orchestra, Jag Panzer, Blaze Bayley, FM, Krisiun, Myrath, Thundermother, Zal Cleminson's Sin Dogs, Jared James Nichols, The Quill and Gathering Of Kings.